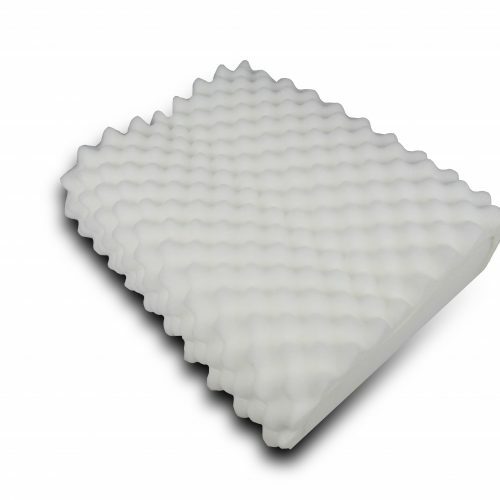 Our Contour pillow consists of an ‘Eggcrate’ design with an inherent cervical roll to keep your neck and spine in alignment, and to give you maximum support and comfort. This orthopaedic pillow is perfect for more severe neck, shoulder and other related problems and pains. 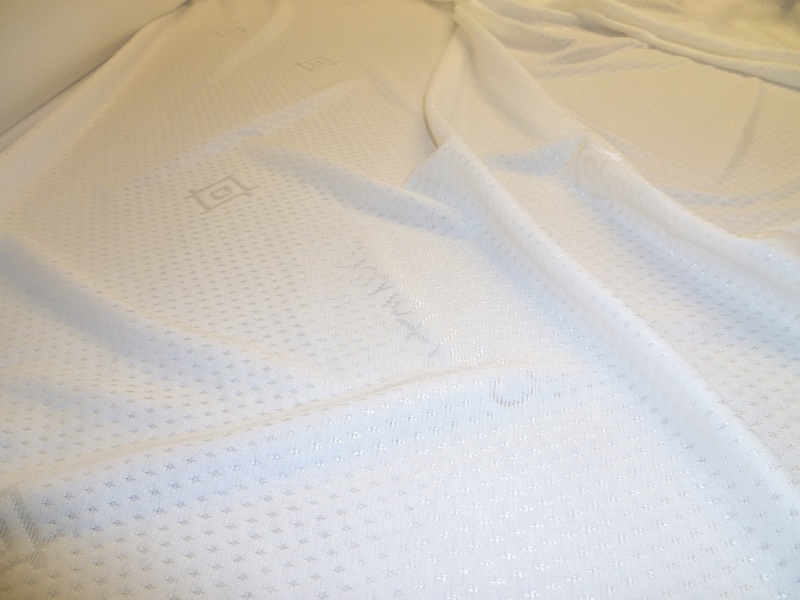 The unique egg crate design allows for extra airflow, ensuring a cool and superbly comfortable sleep, whilst gently caressing your neck and head by applying what is best described as a “Shiatsu massage” effect. Our Orthopaedic pillow provides relief for chronic neck, shoulder and muscle pain. It can also ease headaches, migraines and reduce snoring. 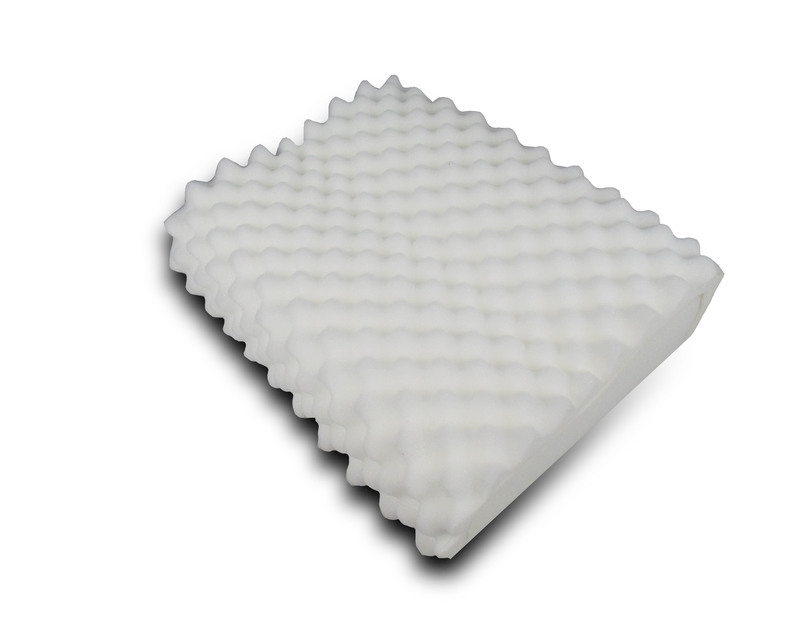 Manufactured with premium quality high density Combustion Modified foam and are therefore superior to other standard Orthopaedic foam pillows. Our pillow fits in any standard pillow case, however we do provide a 2-Way Stretch cooling case with the product. It is highly versatile and can be used at home, as a travel pillow, for caravans, boats, camping etc. Our pillows comply with BS5852:Part2:1982 and are fire retardant. The foam cannot be washed. It is possible to clean using a gentle washing agent and dab the foam if any stains occur.